American readers have long had an obsessive hunger for the South. Their urge to comprehend it and writers’ compulsion to explain it have generated a vast subfield of American letters over the past century and a half. Even leaving aside the southern novelists, poets, and story writers, every few years since the 1850s a major book has been published that explores, praises, or condemns the region the historian David Potter called “a kind of sphinx on the American land.” No American works of sociology outshine the classic studies of southern life by John Dollard, Hortense Powdermaker, and Arthur Raper. Few memoirs are as haunting as William Alexander Percy’s Lanterns on the Levee or Ben Robertson’s Red Hills and Cotton. 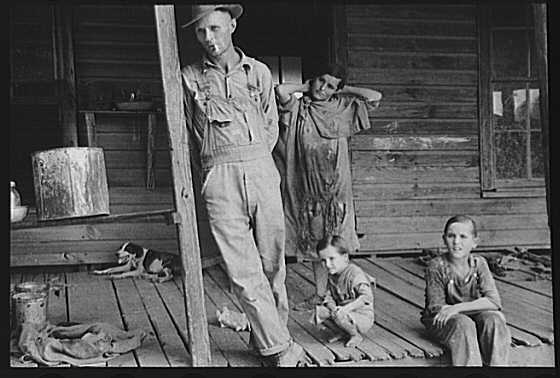 No cultural portraits or commentaries have been more influential than James Agee and Walker Evans’s Let Us Now Praise Famous Men, W.E.B. DuBois’s The Souls of Black Folk, W. J. Cash’s The Mind of the South, and I’ll Take My Stand, by “Twelve Southerners.” But surpassing all these are the works of history that the region has inspired, which are quite simply the flower of American historical scholarship. With Eugene D. Genovese’s Roll, Jordan, Roll and C. Vann Woodward’s The Origins of the New South at the top of the list, the bibliography of southern history is as dazzling as it is lengthy. But alas, since the 1980s southern historical writing—with the notable exception of Edward Ayers’s The Promise of the New South and a few others—has succumbed to the noisome trends infecting other areas of humanities scholarship. The historians say more and more about less and less. And they say it badly. Moreover, although they’ve been an especially politically engaged lot since the 1950s, recently they’ve too mechanically followed the politically correct line. This isn’t surprising: if any region of the country could be defined by its struggles over that PC triumvirate, race, class, and gender, it’s the South. But the result has been too many books that read like little more than self-satisfied indictments of the racist past—an easy and obvious target. Two important titles published this season, however, present fresh and especially nuanced views of the South’s anguished and ambiguous history, and of the ambivalence at the heart of history and in the heart of man. 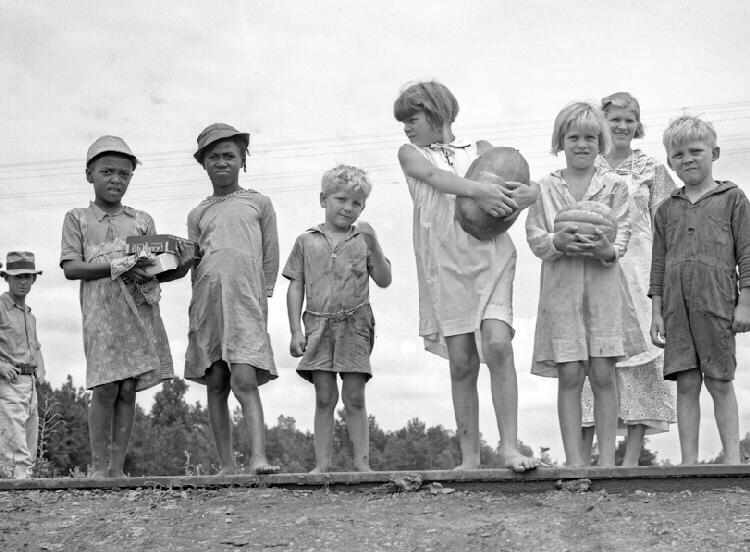 When the young historian Mark Schultz ventured to Hancock County, in Georgia’s lower Piedmont, to collect oral reminiscences of the intersection of black and white lives in the first half of the twentieth century (primarily the 1910s through the 1930s), he expected to gather a record of unrelentingly brutal oppression and a rigid color line. His actual findings, presented in The Rural Face of White Supremacy (Illinois), an unusually rich and dense portrait (as much a work of sociology as of history), have led him to draw a far more complex and subtle picture. To be sure, Schultz found abundant evidence of a white-supremacist society (one ultimately upheld by violence, and in which blacks who found themselves in unfamiliar circumstances had constantly to negotiate the convolutions of racial etiquette). But in this rural setting he failed to find the formal segregation that characterized black-white relations in the South’s cities. Instead he discovered a world defined by what he calls “a web of interconnectivity,” in which blacks and whites, especially in the lower classes, regularly attended one another’s churches; played ball, fished, hunted, and ate together as neighbors; chatted and spun yarns together, visited one another’s homes, and helped and consoled one another in times of sickness and death. 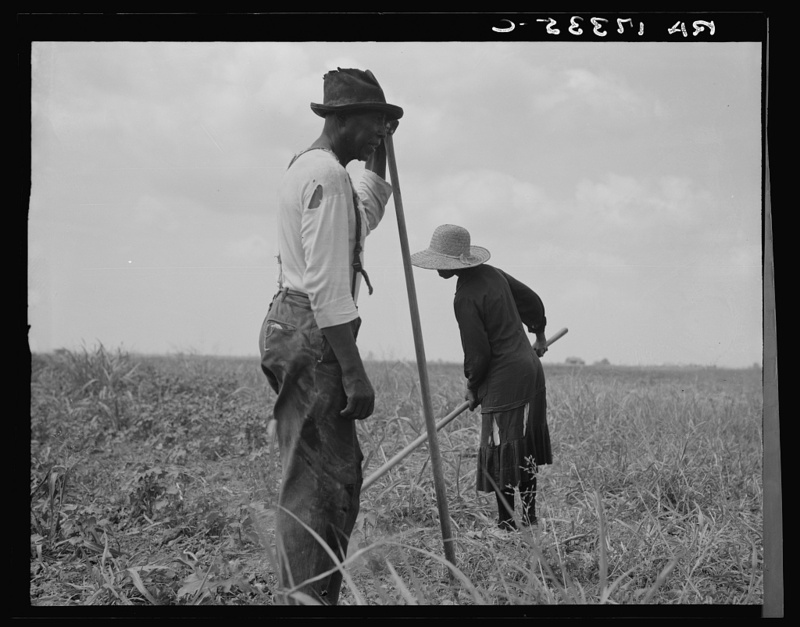 (“[You could] act like you were of the same family with close white sharecroppers,” one black sharecropper remembered.) In short, in this shared culture the races were intensely intimate—and their interactions were usually characterized by decency and good manners—if never equal. Although Schultz scrupulously eschews romanticizing what Martin Luther King Jr. called the “intimacy of life” between rural blacks and whites, his work corrects some of the best-publicized recent chronicles of southern life in this period, which too often treat white racial attitudes and behavior as a static and monolithic force. Those books also too easily assume that because by today’s standards nearly all white southerners were racist, there’s no point in distinguishing among their “racist” attitudes. 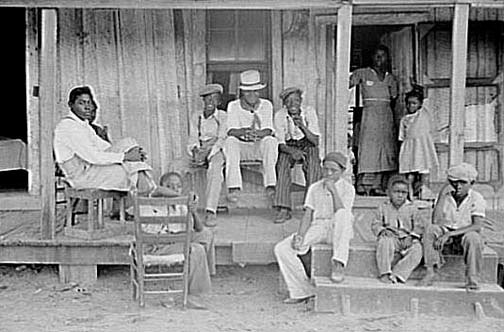 A black sharecropper visiting a strange town in rural Arkansas, for instance, would care whether its sheriff opposed equal rights for blacks but favored some protection for them (however inadequate to modern sensibilities), or whether he was a virulent racist who would deny blacks the most basic rights and, indeed, would encourage threats to their lives and property. Although both sorts of white men may be reprehensible, both lived throughout the South, and the difference between them could mean life or death for a black man. Picturing Faith, by Colleen McDannell (Yale). 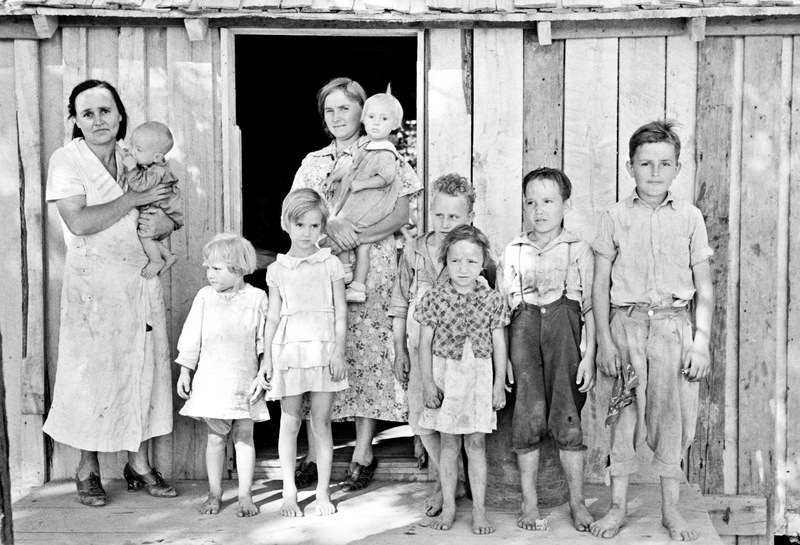 During the Depression the Farm Security Administration dispatched a band of photographers including Dorothea Lange and Walker Evans to document various facets of rural existence. This striking book, with its lengthy and intelligent (if at times overly interpretive) text by the historian of religion Colleen McDannell, collects the FSA photos of rural religious culture. 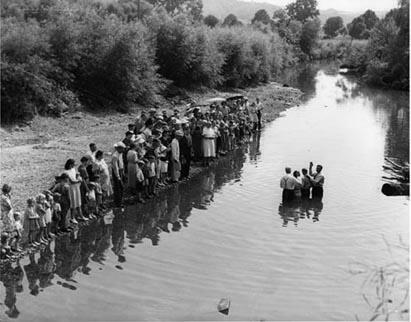 Traveling throughout Dixie in 1910, the English writer William Archer observed that “the South is by a long way the most simply and sincerely religious country that I ever was in,” so it’s not surprising that FSA photographers took more pictures of religious expression there than they did in any other region. 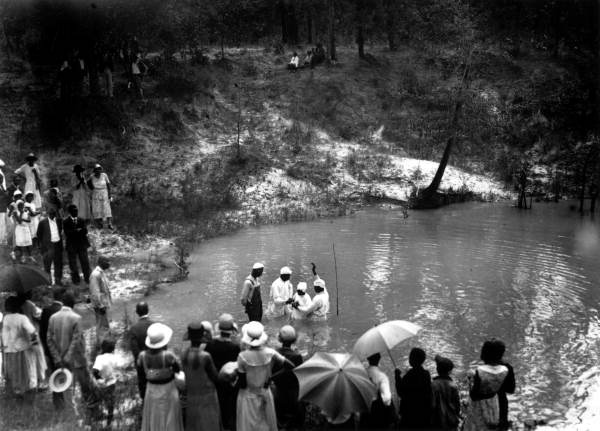 What is surprising is that in a time in which, as McDannell writes, “a crushingly critical image” of evangelical Christianity prevailed, these northern, liberal, and secular photographers recorded southern evangelicalism with such sympathy, even admiration. They captured both its stark inwardness (conveyed, for instance, in the many pictures of the remote, famously austere wooden frame churches that all the photographers were moved to take) and the ways in which it was integrated into and nurtured community life. Conjectures of Order, by Michael O’Brien (North Carolina). Thank God for university presses. What other kind of publisher would ever produce this hugely ambitious, sweeping yet recondite, keenly intelligent but often wrongheaded two-volume, 1,354-page history of intellectual life in the American South from 1810 to 1860? O’Brien has written on southern writers and thinkers of the 1920s and 1930s, but has mostly concentrated on antebellum southern intellectuals, especially South Carolinians. An American historian at Cambridge, he’s probably the most prolific scholar of southern intellectual history (a field that Yankees with a little learning incorrectly label an oxymoron). Though these volumes sound narrow, they’re in fact breathtakingly grand. 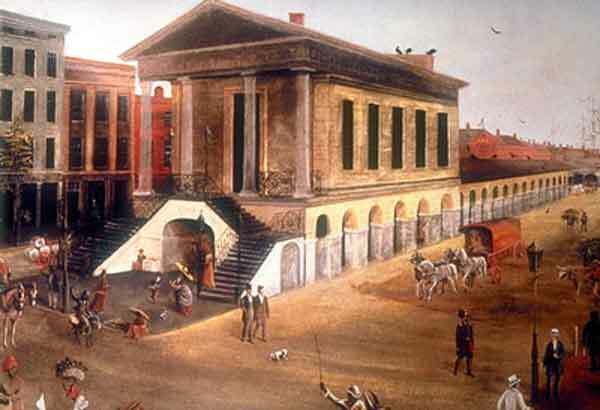 The writers, critics, economists, political theoreticians, theologians, philosophers, linguists, poets, sociologists, historians, jurists, and scholars assessed herein were the most cosmopolitan, highly educated, and intellectually capable group the United States produced from the Revolution to the Civil War, and O’Brien’s is as much a history of the society that formed them (although he carefully points out how imperfectly their views mirrored that society) as it is a history of the (often highly abstract) ideas they engendered. He’s especially careful to place these southerners in the context of European intellectual trends (they were probably the most well-traveled Americans, at home in Edinburgh, London, Paris, and Göttingen—”to most southerners Madame de Staël mattered more than Ralph Waldo Emerson”), and he finds them “deeply implicated in modernity,” an interpretation that’s true as far as it goes, but that, I find, takes him in some wrong directions, especially concerning the theoretical arguments surrounding the defense of slavery. But although often stilted, this work is unusually astute (see O’Brien’s analysis of John Taylor’s political thought, and his chapters on the growth of the historical imagination and on southern thinkers’ inventive assimilation of classical economics) and intellectually creative (see his lengthy and appropriately discursive chapter on the role of conversation in intellectual life). This is a work of lasting significance—it will (eventually) alter and widen our conceptions of the antebellum United States and of the currents of American thought.